During your holiday in Provence, come discover the beautiful city of Avignon and its incredible heritage. 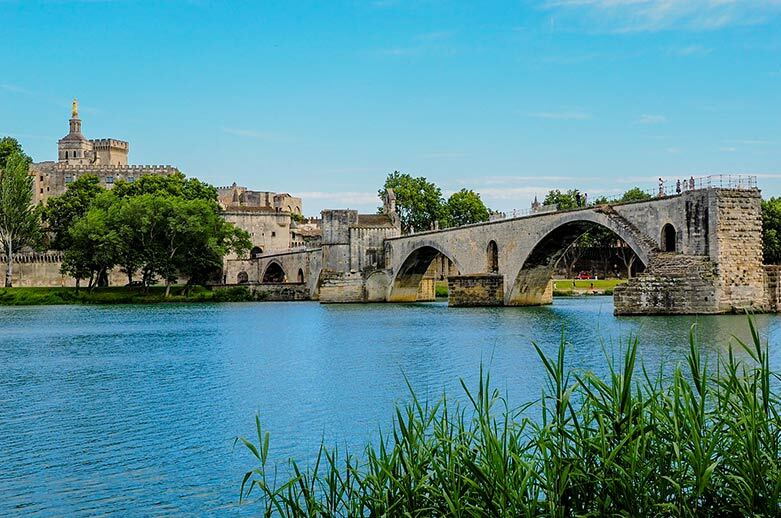 A medieval city classified as a UNESCO world heritage site, you can visit its famous cultural monuments like the Pont d’Avignon or the Palais des Papes. Not to mention the famous Avignon Festival, with live performances of dance and theater that transform the city each July. Come spend your holiday in Avignon, but also discover the amazing landscapes of Provence. Fields of lavender and almond trees as far as the eye can see, many regional nature parks such as those in the Camargue and the Luberon, Roman ruins, Cotes du Rhone vineyards… regardless of when you come, the region has a wide variety of things to explore all year round.